The charitable trust hoping to buy Wentworth Woodhouse in Rotherham have found it difficult to raise the necessary funding. The largest privately-owned house in Europe officially went on the market with Savills plc this week with an asking price of in excess of £8m. Now the Newbold family has explained why the property has gone onto the open market. 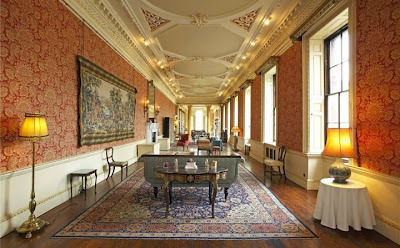 A statement read: "Having made the reluctant decision to sell, it was always the plan to bring Wentworth Woodhouse to the market in the Spring of 2015. "It is the family's greatest wish to find someone to carry on our work and see the house in safe hands and secure for the long term. "Various discussions have taken place over the last couple of years with SAVE, while they have tried to gain support for a charitable trust to take it over. "It has not been as easy as everyone hoped to raise the necessary funding and thus we are continuing to look for an individual or organisation to whom we can pass on the baton of stewardship for future generations to enjoy." John Healey, MP for Wentworth and Dearne, tried to raise the issue in the House of Commons earlier this year when he put forward an early day motion for debate. 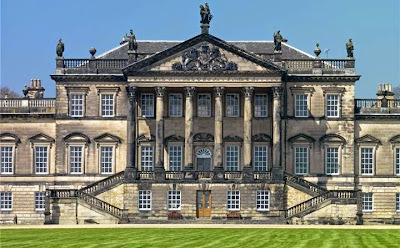 It called on the Government to step in and support efforts to save Wentworth Woodhouse, alongside the National Heritage Memorial Fund (NHMF), a fund of last resort to save items of outstanding importance to the nation's heritage. The motion read: "That this House commends the current plans to secure the future of one of the grandest stately homes in England, Wentworth Woodhouse in South Yorkshire, by placing it in a charitable trust and opening it to the public; acknowledges the exceptional splendour of this house and recognises the work already carried out in restoring parkland, lakes, monuments and temples, as well as repairs to the house itself; underlines the huge potential stimulus to economic regeneration in South Yorkshire; and calls on the Government and the National Heritage Memorial Fund to recognise the imperative to give strong and urgent support to these efforts."